It is believed that Many Asian Martial Arts have Chinese roots or influences. According to Chinese documents, Kung Fu is believed to have been initiated as a form of physical exercise by the Bodhi Dharma when teaching the monks of Hsiaolin Temple in Tungpung County, Honan Province, China. Bodhi Dharma, a great Indian Buddhist Zen master, came to China in 520 AD and spent nine years at Hsiaolin Temple where he introduced the art of Self Defence. Its noted the mural paintings of Taekwondo in the ancient tombs of Koguryo belong to the period 3 A.D. 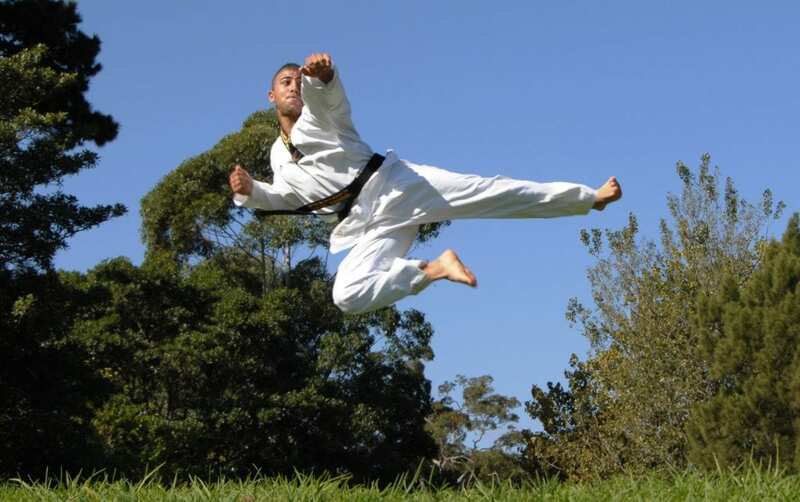 The instructors at Pinnacle Martial Arts Academy in Sydney have over 150 years’ experience in Martial Arts which is unparalleled by any other Martial Arts Academy. You will usually find this experience on the floor at one time passing their knowledge and skills to their students. Our instructors least experienced instructor holds a Black Belt 4th Dan from the Kukkiwon World headquarters, therefore providing the highest quality of training anywhere in the world. How Pinnacle Kung Fu influenced Martial Arts Sydney Will Benefit you? Once you move through our Kung Fu influenced Martial Arts Near Earlwood programs you will develop a deep sense of confidence that will help you in your life and work endeavours. How will the Pinnacle Academy, in Sydney, benefit you? How will Pinnacle Kung Fu influenced Martial Arts Academy, in Marrickville and Chester Hill benefit your child? How will Pinnacle Kung Fu influenced Martial Arts Academy programs benefit you? Self Defence classes, anti-bullying programs, Taekwondo classes, Korea Karate classes, Kung Fu influenced Martial Arts classes, comprehensive martial arts training, Group training sessions, fitness and conditioning through Boxing Methods, martial arts, cross training through martial arts, private training, cooperate self-defence, fitness, martial arts and taekwondo seminars, preschool programs, primary school programs, high school programs and after school care programs which we will modify to suit your needs and numbers.